All area rugs are different, and each rug has its own story. We like to educate you on where your rug came from when possible, what materials it was made with, and why it looks the way it does. We go into great detail with you to educate you as best as possible about your specific rug. The term “Oriental Rug” is actually meant to describe a rug crafted in the portion of our planet that is considered “The Orient”. This area generally covers rugs from Asia, Eastern Europe and The Middle Eastern area. While all types of rugs can come from all over the world, Oriental Rugs are the most common. The term has morphed into a general description of high end, natural fiber rugs. These types of rugs are generally made of natural fibers such as Wool, Silk or Jute. Natural fiber rugs can be crafted a variety of ways, with the most common being hand woven, woven with a loom or machine woven. The natural materials used to craft these rugs typically have different cleaning methods, based on the types of fibers being treated. The same goes for the different makes of rugs. 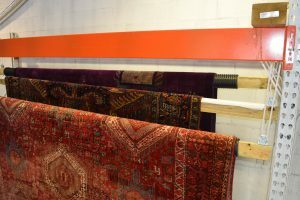 Regardless of the craft type or fiber material, our professional rug technician will identify it properly and administer the proper washing technique required. Our rug cleaning specialists will check your rug for possible die migration by doing a test before any dusting or cleaning is begun. 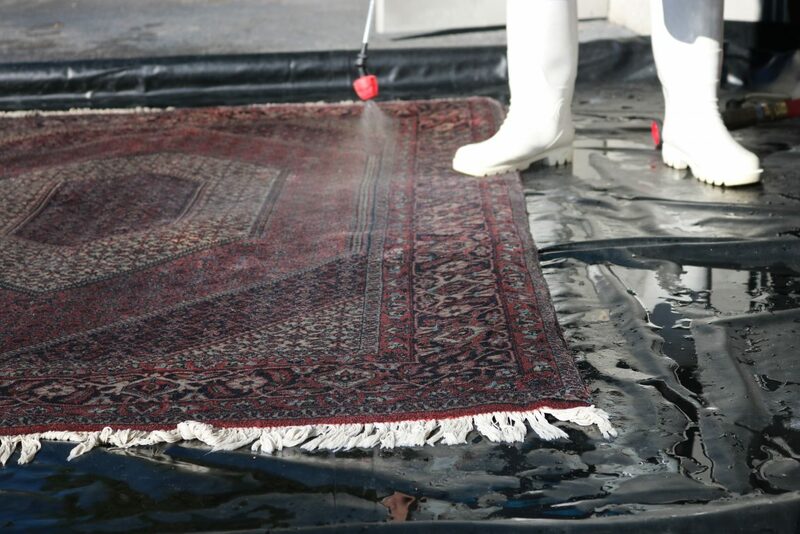 This ensures that the correct methods are used when cleaning your specific rug. We will then take pictures of the front and back and upload those to your customer profile. We also like to take before and after pictures so we can show you the outstanding results when complete. Our pre-inspection process is just as important as the many other steps that follow. We do a thorough dusting of your rug. Proper dusting is the most important part of the cleaning process. Make sure to ask how your rug will be dusted, are they using a vibration process, tumbling, air dusting? We use these process to our advantage depending on the circumstance. A thorough dusting of the rug loosens and removes soils. 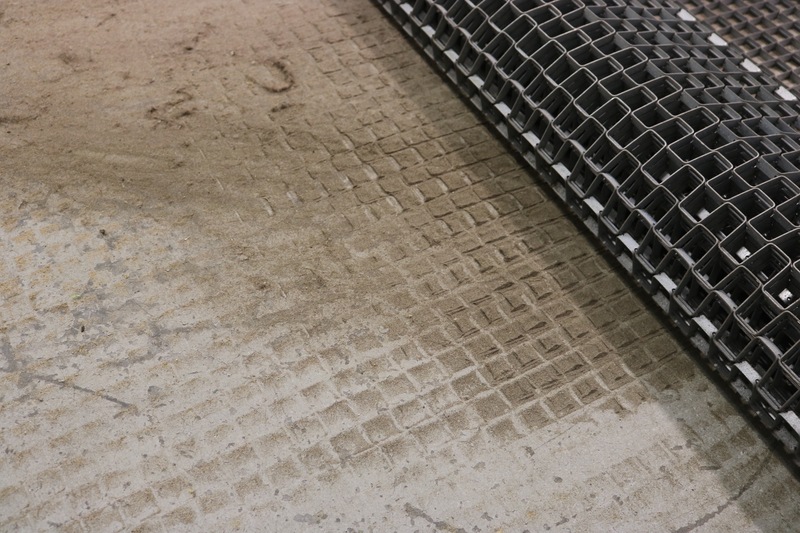 Then we use an industrial vacuuming process to remove the loosened and remaining soils. 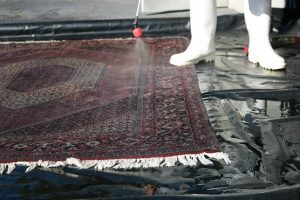 Our experienced rug-cleaning technician’s will use special techniques and products to pre-treat any problem areas. Then a full lathering of proper cleaning solutions will be used to shampoo the rugs. Each rug cleaning Orlando is different, thats why we keep over a dozen different cleaning solutions on hand to make sure the correct product is used each and every time. 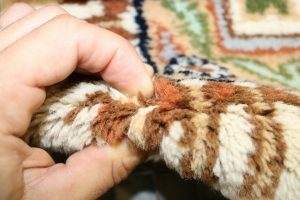 Your rug may have bleeding concerns, we know how to handle that, it may have moth damage, we can take care of that as well. There aren’t many circumstances that we have not seen as we have had thousands of cleanings, with experience comes knowledge. Some antique, oriental and other very delicate rugs will be washed by hand only. If no signs of concern, your rugs will be washed with a special cleaning solution in our rug spa, using proper agitation to help the cleaning process achieve the best results. A through rinsing of the fibers to ensure no dirt or solution is left. 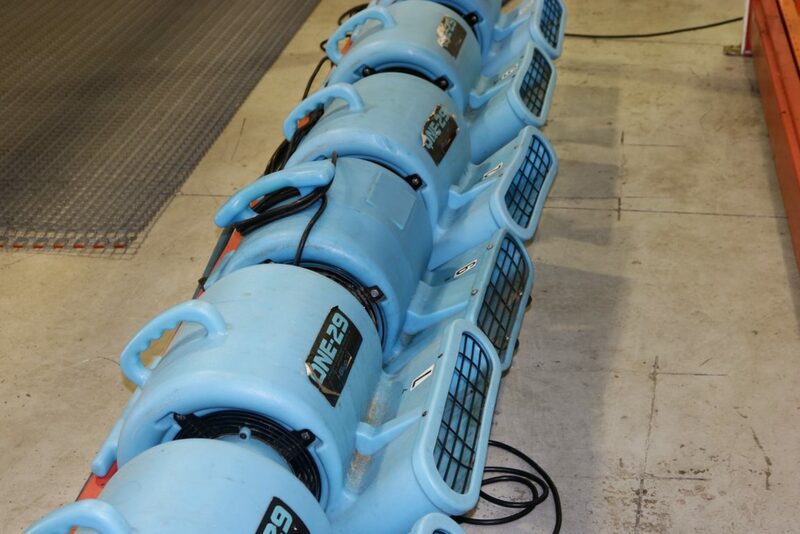 We use a full submersion cleaning process, this helps flush the fibers through the rug, not just cleaning the surface of the wool that like a carpet cleaner would do in your home. Hot water is a no-no when dealing with natural fibers. Our experience technicians will leave your rugs flat if the rug had any dye migration concerns. If the rug showed no signs of concerns, then it would be hung until dry. 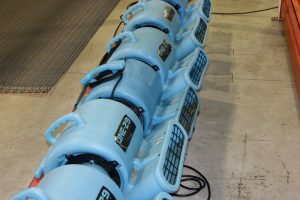 We will use proper airflow with our industrial air movers and dehumidification to ensure proper drying. Double-checking your rug to ensure that we achieved the best possible outcome. If any additional touch ups are required, it will be identified in this portion of the cleaning process. 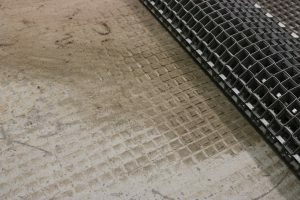 We will also being doing a post vacuum to grab any loose debris that may have worked its way out during our cleaning. 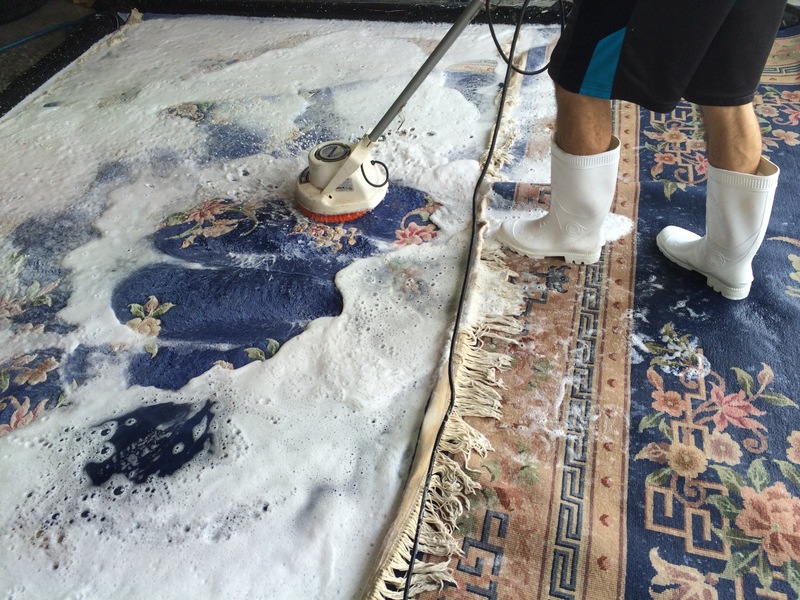 We also have a similar multi step cleaning process for our carpet, tile and upholstery cleaning services. Check out Like New Carpet Care to learn about our other cleaning services for your home. 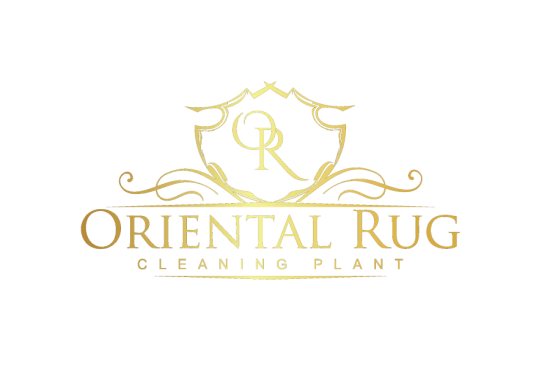 We believe that the most important part of our rug cleaning process here at the Oriental Rug Cleaning Plant is the personal customer experience. 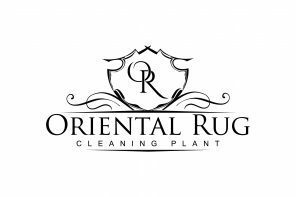 From the moment you contact one of our friendly staff members to inquire about a particular service, to the moment your rug is unrolled back in your home, your personal experience with our company will be of the utmost importance to us! Each member of our team takes pride in being helpful and informative, while providing a comfortable and friendly experience for each of our wonderful customers. If you call our office you will be greeted by a happy voice ready to help in any way possible. We welcome all calls whether they are to schedule services or simply ask a few questions or for some circumstantial advise. Our master rug technician is experienced, trained and knowledgable in a variety of rug types and cleaning procedures, which ensure your washing process will be completed in a safe and thorough manner. Our master rug technician loves his craft and is happy to speak with any customer to help answer any questions you may have. Our company mission is to achieve the best results possible. This not only applies you your service, it applies to your personal experience as well! .